There are thousands of affiliate programs available online, and most of them include many products. As there are more influencers, more businesses, and more understanding of the importance of affiliate marketing for online sales, the number of affiliate programs is likely to keep on growing. 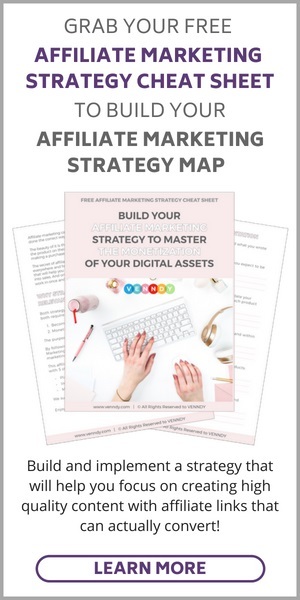 In our downloadable free Affiliate Marketing Strategy Cheat Sheet you can follow the steps for creating your own Affiliate Marketing Strategy Map to help you get started and master the monetization of your content. In this post we relate to how to find, evaluate, and join an affiliate program. But you must first think about and research the products you want to promote based on the content you create. You may therefore want to start by reading How To Choose Which Affiliate Products To Promote as Part of Your Affiliate Marketing Strategy. How many programs to join? Opinions vary, but the simple answer is: numbers don’t count. What’s more important is which are the most relevant affiliate programs for your content. And if the most suitable products are spread over a few affiliate programs and a few affiliate networks, then it shouldn’t matter how many you use. The main downside to using many affiliate networks is the need to learn each system and their promotional tools, to keep up with all the affiliate links, and to follow up with different report systems. 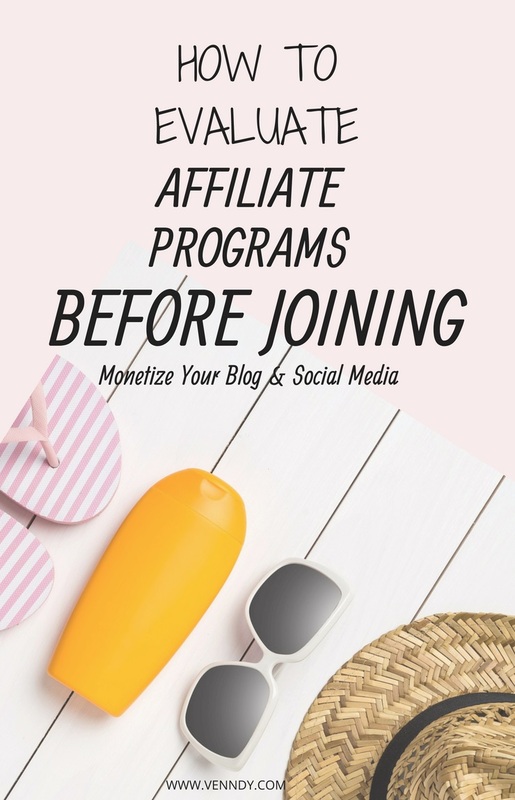 This is why many bloggers prefer using sub-affiliate companies, whereas everything is gathered together in one place, or limit themselves to no more than one or two programs. Using VENNDY can help you overcome the drawbacks mentioned above, while still joining as many programs as you see fit. So, despite some extra work derived from managing a few affiliate networks, there are a few important reasons not to limit yourself to using only one or two. You don’t put all your eggs in one basket. You can diversify and learn the pros and cons of the different programs. As not all programs work with the same affiliate networks or sub-affiliate companies, by being open to joining different programs, you increase the number of relevant programs for your niche. ETSY is a good example. You can only promote their products through AWIN, so if ETSY is a good fit for your content, you don’t want to miss out on the opportunity or, on the other hand, limit yourself just to AWIN. As not all programs have the same requirements for joining, you can start with those that are more flexible without waiting to build up a mass following. As discussed below, you can choose your programs according to the action required, commission, time restrictions, flexibility, and more. You can keep full control of your affiliate relationships, your favorite brands and retailers, and affiliate sales tracking coming straight from your affiliate networks. As a beginner, you may keep changing and adjusting your content and affiliate relationships to best match your personal interests and strength. When you join different affiliate programs, you can keep your options open while building a genuine relationship with your audience. You can start as a fashion blogger and soon find out that travel, wellness, or blogging are actually the topics that you most relate to and that your audience mostly interacts with. There are, in addition, a few key advantages to joining and promoting independent, in-house affiliate programs. Most new independent affiliate programs offer big commissions as a way of attracting affiliates as marketers for their product. Good examples are Seva (previously Convert Kit) or Ultimate Bundle that are very attractive for their affiliates and are highly promoted. A word of warning about affiliate programs of unfamiliar brands: there is a possibility that they may end up not paying, either because they can’t or because they have nothing to lose and are not really bothered by a few bad reviews from disgruntled affiliates. If you want to play things safe, it’s certainly better to join an affiliate program of a reputed company or via a reputed affiliate network. But if you do your homework and get recommendations from other affiliates who’ve worked with the brand, promoting independent programs can be very rewarding and shouldn’t be disregarded. In these cases you must ensure that these are legitimate programs in order to guarantee your payment: try the product, be sure that you love it, and then check that the program’s payout methods work in your country. How to find affiliate programs to join? 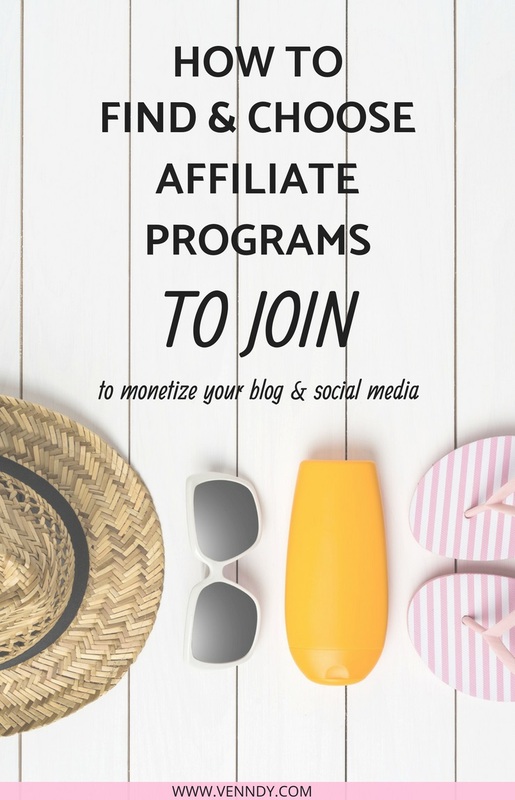 Here are a few ways to find affiliate programs to join. 2. You can just go to the brand’s website and scroll to their footer at the bottom of the page. More and more retailers and brands insert links to their affiliate programs. Click on it, and you will be directed to the information and registration pages for their affiliate programs. 3. If the previous methods are unsuccessful, email their brand’s support and ask whether they have an affiliate program. You might be just the trigger they needed! 4. If you don’t have the name of a certain brand or product in mind, you can still Google your niche/category (e.g., "flights affiliate program” or "gardening affiliate programs”). You’ll be surprised by the number of results you get. 5. Use tools such as affiliate directories (Associate Programs, High Paying Affiliate Programs) and keyword search tools: Google which is free and Jaaxy, for example, has a great feature which allows you to find affiliate programs on affiliate networks such as Rakuten and CJ (Commission Junction). 6. There are many blogs that can help you find relevant affiliate programs within your niche. In the carousel below you can find links to few niche lists we like and recommend checking. How to evaluate affiliate programs before joining? Different programs have different entry points and terms. You should search for those that offer you the best quality. Following are some parameters to help you evaluate affiliate programs. Transaction conversion – What action is your promotion supposed to be driving? Or, what’s the commission type? Pay per sale, click-throughs, leads, or actions such as subscribing or filling in forms. Check what is best for your audience and your niche. Commission conversion – What is the conversion based on? Is it based on a sale amount or a fixed basis? Is it one time or recurring commission? These specifics may vary, so once the options available to you start growing, you may want to compare which is better for the type of product you want to promote. Time limitations for making your first sale – There are some programs, such as Amazon, that give you a time frame for making your first few sales, and some that check for "movement” in your account later down the line. Some programs will throw you out if you don’t produce enough sales at the beginning or for a certain defined period of time. It can take a few months to start attracting real traffic to your website, so when you join affiliate programs, start with those that don’t put on pressure but let you go at your own pace. We don’t think you should postpone the process. We believe in adding affiliate links to your blog from day one, because, in our mind, you can’t go wrong when promoting products and services that you use and love. For more on this, see our blog post, How To Monetize Your Blog From Day One Using Affiliate Links. Promotional channels – Some affiliate programs require you to have a website (e.g., Booking dot com and ETSY); others may allow you to use just a social media account. 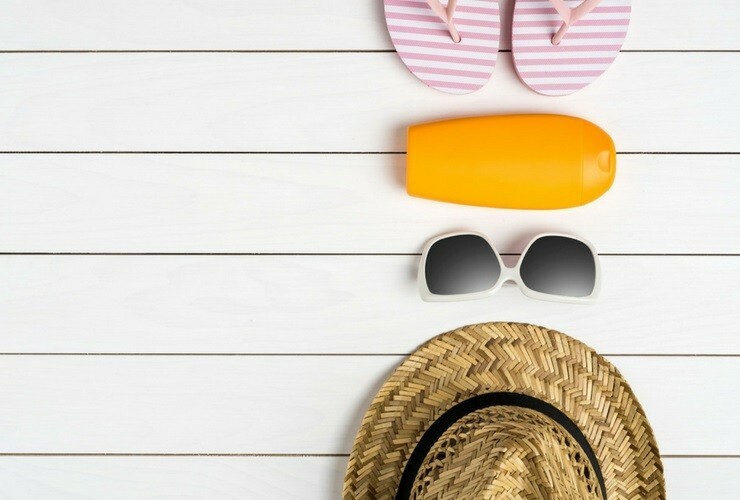 There are influencers who make money on Pinterest or Instagram, but having your own website is a bonus and can certainly give you more flexibility. Commission rate – Commissions can vary from one affiliate program to another, and while this is not the most important thing, you still want to promote products that people buy and to make a decent and regular affiliate income. Making money on Amazon, for example, requires a high volume of traffic and sales, which can be a hurdle when you are new to blogging. However, when you promote more expensive products or those with high demand, you give added value to your audience and may have higher conversion rates as well as higher commission. Payment (minimum payout, payment method and frequency) – The minimum payment may vary, but most affiliate networks and programs will pay you only when you reach a minimum amount of over $50 or, in some cases, over $100. You need to be aware of this number, so that you are not disappointed when you are not paid because you haven’t reach the threshold. Remember, affiliate marketing is not a get-rich-quick business. It requires understanding, consistency, and patience. Payment method may be monthly or other, and payment method can be by Paypal, check or wire. Cookie length – When promoting a product, cookie length is important. Not all customers will purchase an item right after they click on it; some may even wait months. When the cookie length is 24 hours, the chances of making a sale are lower (unless it is a commodity or a cheap product). For example, when you are promoting a hotel, you really need the full 90-days cookie length to increase your chances of a sale. By using VENNDY’s tools, your readers can save an item you recommend in their Loves or on their Wish List, and this way you give them more time to think about it, while your affiliate link stays relevant. Presentation tools and link generator option – Having a link generator button is super important, as it makes it easier to create affiliate links as you go. Friendly and easy to use presentation tools are also important, allowing you to keep the appearance of your blog consistent and elegant. VENNDY’s tools allow you to use one set of presentation tools for your blog post carousels and for sharing on social media across all affiliate programs. You only need to learn this once, and then you can use the link generator bookmarklet to generate affiliate links as applicable. Support – Some affiliate networks/programs have great support teams and affiliate managers; others do not. Support is important for answering questions and providing clear guidelines about what is and isn’t allowed when promoting products. How to apply and join affiliate programs? Your live blog with at least a few pages of content (and not a "coming soon” or "under construction” websites). Make sure your content is recent and not two years old. Some of your best stats (social media followers, page views, etc.). They will also check for themselves that you’ve supplied accurate information, so be honest and also mention your future projections. Your plans for promoting the brand (on your blog, social media, etc.) and marketing their products. Once approved, you will be asked to supply information about how you want to be paid, your PayPal and email address, or your bank account for direct transfers. Some companies also ask you to fill out a tax form, which will be filed with the IRS once you earn more than the minimum threshold. This process can take anywhere from a few hours to a few days. If you pass their review, you will receive an email informing you that you’ve been accepted to the affiliate program, and you can then log in to the program or the network, access information about products, and promote special offers and specific plans. We would love to hear about your experience so feel free to share in the comments below. When Is the Right Time To Start Using Affiliate Marketing To Monetize My Content?